The 7" & 8.5" Signature Grand Bongo Set from Tycoon Percussion is a set of attached bongos constructed of North American Ash. The drums feature brushed chrome Classic-Pro hoops and large 5/16" diameter lugs. The calf skin head allows you to play any style of music, both in studio recordings and in live performances. A tuning wrench is included. 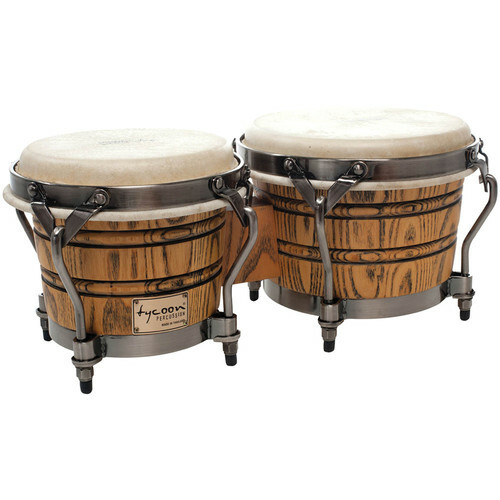 Matching congas and djembes are available (sold separately). Box Dimensions (LxWxH) 19.25 x 11.0 x 9.0"